Bar group Arc Inspirations is expanding its popular Headingley venue The Box into Leeds city centre, after signing a lease on 7,000 sq ft of space at Goodbard House on Infirmary Street, which is owned by award-winning development company Rushbond. Arc Inspirations has been fitting out the ground and lower ground floor unit as part of a £1.4million investment that will create a stunning bar complete with Leeds’ first ever Budvar tank offering unpasteurised, brewery-fresh beer that’s brimming with flavour. There will also be a wide range of premium draught lagers, Yorkshire craft beers, ciders and an extensive cocktail menu including Pornstar and Espresso Martinis. Food will champion the finest local ingredients and will include Napoli pizzas and premium burgers made from high quality chuck and fore rib, sourced from multi-award-winning butcher Lishman’s of Ilkley. The 150-cover venue will employ a 50-strong team and will offer a Shuffle-Box area, electronic darts, live sport widescreens and a unique screening and tap room for private functions and corporate events. Arc Inspirations is a leading bar operator with a number of fast-growing brands including Manahatta, Banyan Bar & Kitchen and The Box. This latest opening will be the second Box site in Leeds, joining the existing bar in Headingley, and is in close proximity to its Banyan Bar and Kitchen and Manahatta sites. 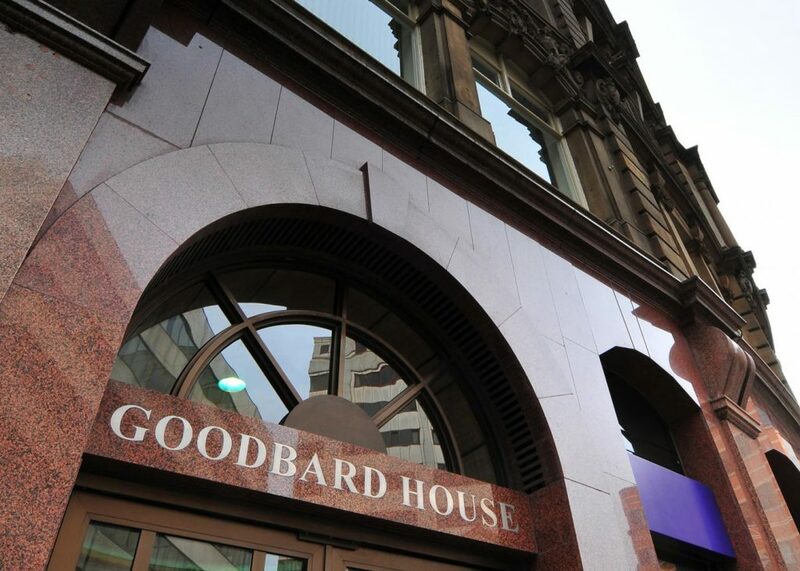 Goodbard House also offers approximately 18,000 sq ft of office space, which is spread across its five upper floors, and Rushbond is due to start work refurbishing a final 4,000 sq ft office unit that is currently available to rent. Richard Baker, from Rushbond, said: “Goodbard House is a magnificent 1905 Edwardian building that is well-known for its attractive façade and this will be complemented by an exceptional fit-out and striking new interior which is set to be a key feature of this new bar. Arc Inspirations owns and operates some of the most successful and popular bars and restaurants in Leeds, so there’s no doubt The Box will be a fantastic new addition for both Leeds city centre’s office core and Goodbard House.